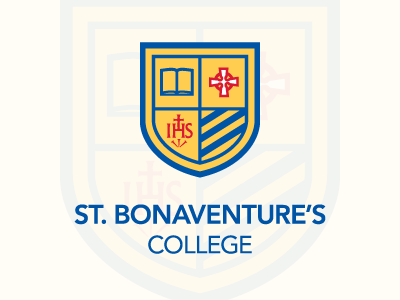 The St. Bonaventure’s College Board of Governors is a voluntary board which acts as a governing authority to ensure the long term viability of the institution and its mission and identity as a Jesuit, Catholic school. The Board and Society of Jesus partner to foster a bond to sustain the school’s Jesuit identity. Along with the Archbishop, the Jesuit Provincial and others the Board and leadership team work as partners for accountability. Fostering a relationship of trust and mutual support, they maintain effective communication and work together to benefit the school. The Board of Governors works with and advises the President on matters relating to general stewardship over all financial resources of the School and approval and administration of School activities. The Board holds at least four regular meetings in a school year (generally September, December, March and late May/early June), a Board retreat, as well as an Annual General Meeting (AGM) in May. Regular meetings take place on Friday evenings from 7-9 pm and Saturdays beginning at 9 am and ending between noon and 3 pm, depending on the agenda. The Board consists of nine elected voting Governors, an Immediate Past Chair (voting) in years when the Chair has completed his or her elected term, two appointed voting Governors, two ex-officio voting Governors and one ex-officio non-voting Governor, for a total of not more than 15 Governors. Governors are elected for a term of three years. The Board elects Officers (Chair, Vice-Chair and Secretary) annually to a one-year term at the first meeting following the AGM. Any Member of the School may stand for election to the Board of Governors. Members are defined as parents or legal guardians of students currently enrolled in the School (not exceeding two per family). The School strives to ensure that the Board is representative of the Voting Members of the School and that all candidates are individuals who will act with a view to the best interests of the School as a whole. Consideration is given to factors such as commitment to the Mission of the School, multi-disciplinary backgrounds, gender and grade representation. Our By-Laws stipulate that at least two voting Governors shall be parents or guardians of students in grades K-6 and at least two shall be parents or legal guardians of students in grades 7-12.